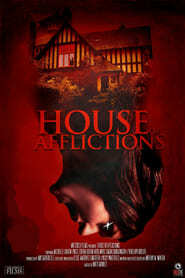 House Of Afflictions takes place in the late 1970’s and tells the story of Kate Beckley (Michelle Darkin-Price) once UK’s best selling crime author but it has been years since her last novel due to a tragedy which befell Kate and her husband John, their daughter Julia disappeared… Kate is coming to terms with the fact that Julia may never be found and has decided to start writing again, unfortunately Kate is finding it difficult to get back into writing due to constant distractions around her so decides to hire a temporary home to write. Almost instantly Kate begins experiencing paranormal occurrences, has Julia come back? or is there something more sinister lurking in the house preying on a grieving mother?